A trip to the United Arab Emirates’ second largest city Abu Dhabi is an exciting and fun experience for all. So what are the five best family activities for those visiting Abu Dhabi? Abu Dhabi, the second largest city in the United Arab Emirates, sits on the coast of the Gulf Peninsula. A modern city in an exotic location, it’s a popular tourist destination for families. It is also home to many workers from overseas who service the construction, leisure and of course oil businesses. Taking advantage of tax free salaries many UK expats choose to protect their income by opening an offshore bank account and depositing their income in them for safety. So when visiting Abu Dhabi, what are five great family activities to take part in? Al Ain in Abu Dhabi offers a selection of opportunities for family fun. 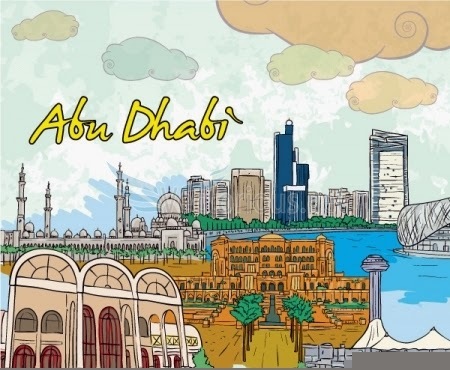 The second largest city in the Abu Dhabi Emirate and also known as ‘The Garden City,’ it provides a number of activities to excite the little ones, while still ensuring Mam and Dad will have fun. One of the best family activities in the area is Al Ain Zoo and Aquarium, situated at the foothills of the Jebel Hafeet Mountains. The Zoo, which contains a cathouse and reptile house also has a selection of animals at home in the Arabian environment such as the Oryx and the Lechure. However, if you’re family are more inclined towards action, then Hili Fun City may be more up your street. The amusement park which was referred to as the Disneyland of the GCC has a large selection of amusement rides for families. Varying from adrenaline inducing roller-coasters to the more sedate carousels, the park is a great place to engage in family activities. It also offers a selection of shops and it prides itself on the fact it is an eco-conscious amusement park. Corniche, offers a more natural form of entertainment, situated along Abu Dhabi’s spectacular waterfront; it winds along from the Sheraton Hotel to the Hilton Hotel along the coastline. Lined with trees and parks, Corniche is one of the most picturesque places in Abu Dhabi. While visiting, lie under one of the many umbrellas on one of the beaches in the area, or swim in one of the beautiful life-guard manned pools. Corniche is also a great place for a family walk, bike ride or rollerblade and in addition offers children’s playgrounds and beach volleyball courts. 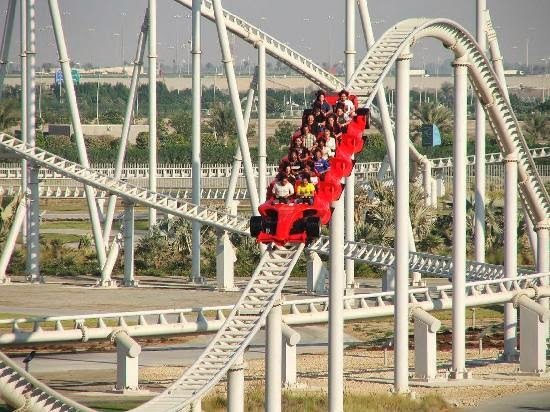 Ferrari World on Yas Island, in Abu Dhabi offers more petrol orientated thrills. The world’s largest indoor theme park, it’s themed around the Italian car maker and boasts the world’s fastest rollercoaster - The Formula Rossa. If touching near 150mph speeds doesn’t suit you, the park also has junior go-carts and junior driving schools for children as well as less hasty adult rides for non-speed freaks. Finally, for a more traditional Abu Dhabi experience why not go and see a camel race at the Al Wathba Race Track. An experience unique to the Middle-East, camel racing is sure to intrigue adults and children alike. Visit the races from Winter-time, until they end with the Annual Camel Racing Festival in April.